From a Killer’s Mind was a very hard book for me to read. It was just too intense! I don’t really want to spend time inside a sadistic serial killer’s mind. Mr. Helford puts you right there, with all the horrific, and terrible thoughts and desires that are living inside of John’s sick, twisted mind. You relive his childhood abuse, and every page brings some new horror. There just is no relief. If you can take such a vividly lifelike horror story and not have nightmares, and you want to feel the insanity of a totally crazed killer, then this is the book for you. Mr. Helford will grab your mind and twist it, pushing it to new depths of depravity and ugliness. He won’t let up. Everything was perfect about this book. The writing was tight and convincing. John was portrayed as a completely horrible person. His life was a nightmare. Way too much of a nightmare for me. I could only read this book by day. So how do I rate this? If this is your kind of book, I bet that you will rate it a 5, but I could barely stand to finish it. So I guess I will compromise and come to a middle ground. 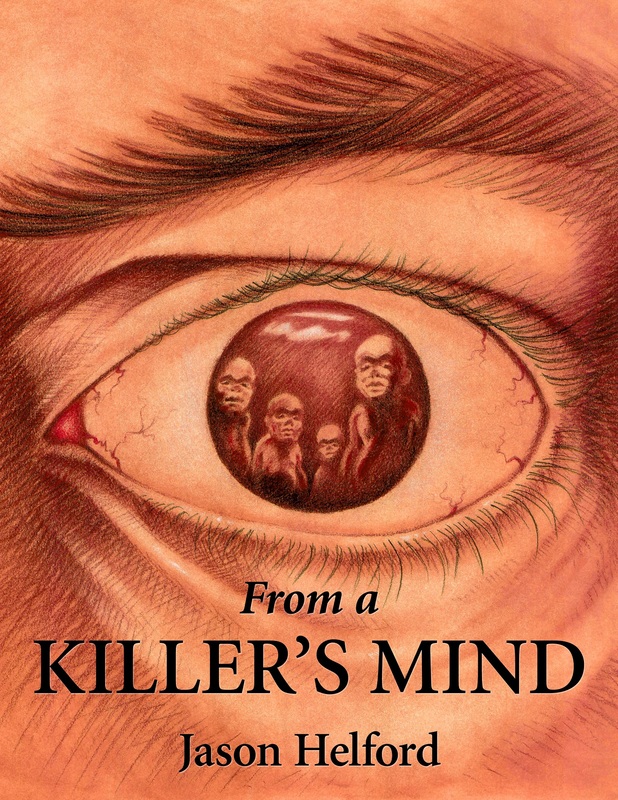 I’m going to rate From a Killer’s Mind 4 Stars out of 5. If this book sound like something you might like, you probably will eat it up. The prologue is a vignette that brings the reader into the tone and setting of the novel, giving a foreshadowing of the events that will unfold. It starts with newlyweds on a happy day, looking at a prospective home, but ends in tragedy due to an evil resonance attached to the house. This leads the reader to the beginning of John’s story. John has been a successful serial killer for his entire adult life, committed to his craft without detection or disruption. He’s spent years refining his process and meticulously planning out each kill, honing his abilities to horrible heights. At the start of the novel, the reader is introduced to John going about the routine of his particular method of selection and abduction. The plans are well-rehearsed, but his dark life is abruptly disrupted as something even darker wells out from deep within him. What starts out as one dissociative lapse–a blackout on the road–turns into a series of uncontrollable blackouts, unraveling his carefully wrought control. John tries to re-center his mind through meditation–a technique he taught himself as a young man, to quiet his chaotic thoughts–but while John is deep within himself, he finds unfamiliar dark voices, voices not his own. They claw past his defenses and force themselves into John’s reality, manifesting from out of the depths of his subconscious. John’s scarred psyche had manifested as grotesque physical representations, torturing his fragile mind and bringing his buried past terrors back to life. Through a series of unbidden flashbacks to the abuses and defining moments of John’s past, and through his interactions with these manifestations representing his weaknesses and fears, the reader glimpses what set him on the path to being such a prolific killer. The book is written with an emotional honesty that lays bare the killer’s soul for all readers to see, while also delivering a good scare. Jason Helford is a first time author, having recently published his debut novel, From a Killer’s Mind, in July of 2013. He’s a devoted husband and father, an avid comic book collector and an enthusiastic craft beer drinker. Prizing originality and creativity more than anything else, his favorite authors are Hunter S. Thompson, Chuck Palahniuk, Ray Bradbury, Terry Brooks, Margaret Weis, Tracy Hickman, Robert Asprin and Albert Camus. Please don’t be offended if you are an author and your name wasn’t mentioned, he probably likes you, too. He lives in Maryland with his wife, Bella, his daughter, Maddie, and his goofy dog, Sunset. Weirdo is not a fun summer beach book. This is a dark book that tells a story using two timelines. 1984, the time of the brutal murder, and 2004, when the murder is being re-investigated by Sean Ward. But this really is a story of a rotten town, with the center of the sickness, the former Police Chief, still pulling the strings. There are quite a few things to hold you back when you start reading Weirdo, many of the characters aren’t very likable, the scenes jump around quite a bit, and the written dialect of the fictional seaside town in Britain is hard to get into. But if you feel like you can handle jumping over these hurdles, and make it though the first third of the book, Weirdo will start to flow and pick up pace. There is a lot going on in the final third of the book, and you won’t want to put it down. I thought that Ms. Unsworth wrote an interesting book, and used the dual timeline effectively, but I really didn’t like Weirdo. It’s just too dark and full of evil, rotten, perverse characters for my tastes. There are some good people in this book, but they haven’t lived in Ernemouth for very long. 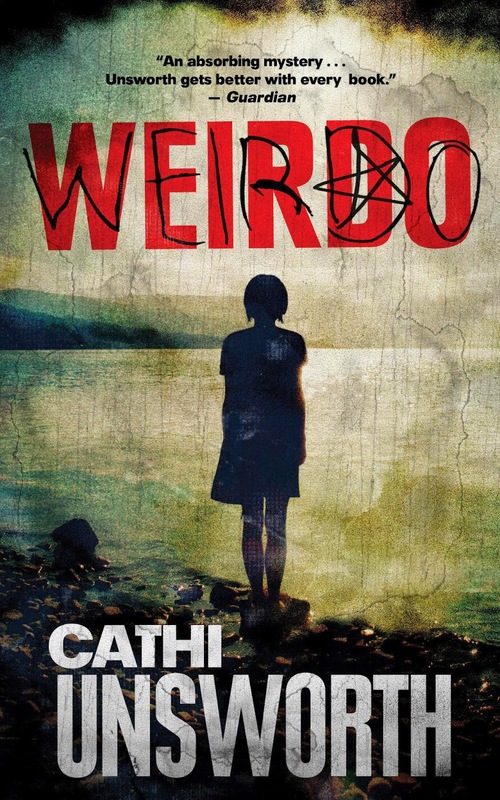 I give Weirdo 3 Stars out of 5, and recommend it to fans of dark British literature. Weirdo is an atmospheric thriller about a teenage girl convicted of murder in a 1980s seaside town and the private investigator who reopens the case to discover that she may not have acted alone . . . Corinne Woodrow was 15 when she was convicted of murdering one of her classmates on a summer’s evening in 1984, a year when the teenagers of Ernemouth ran wild, dressing in black and staying out all night, listening to music that terrified their parents. Twenty years later, new forensic evidence suggests that Corinne didn’t act alone. Private investigator Sean Ward — whose promising career as a detective with the Metropolitan Police was cut short by a teenage gangster with a gun — reopens the case. He discovers a town full of secrets and a community that has always looked after its own. Cathi Unsworth began a career in journalism at 19 and has since worked for many music, arts, film, and alternative lifestyle journals. She has been called “the Queen of Noir” in the United Kingdom and is the author of four novels, including The Singer and Bad Penny Blues, and the editor of the award-winning crime compendium London Noir. She lives in London.